SandGrid is one of the fastest grids for Windows Forms on the market. Built from the ground up with a truly hierarchical architecture, it can handle most types of data with most types of relationship between that data. Virtually all of its features can be used in both databound and unbound scenarios, and its API is flexible enough for all kinds of integration with your application, whether as a superficial container for basic UI selection or a tightly-integrated visualization of dynamically-changing information. Designed to be a compelling replacement for the standard ListView, TreeView and DataGrid controls, this package also offers spreadsheet-like functionality and covers all the similarities between these controls. Entire sub-grids can even be nested within rows so the user can explore bindings between data. Graphically the product sports visual styles from both Windows and Office 2007 and custom styles can also be used. Divelements is the home of professional software components for the Microsoft .net platform. We specialise in user interface components that greatly enrich your applications, helping to make them a pleasure to use for your customers. We also provide a great API and designer experience, which ensures that productivity for your developers is increased too. 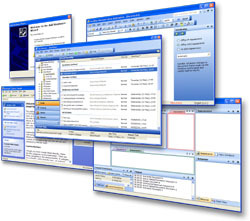 Our products are suites of Windows Forms and WPF controls. We have always taken great pride in creating components that are incredibly robust and easy to use while providing all the great features the market demands. The result is a selection of highly-polished and mature products that have to be seen to be believed. Why not download an evaluation copy of a product that interests you and see for yourself?